With a population over 100,000 and a greater population of half a million, Lafayette, Louisiana is a little known small town creative mecca whose residents probably want to keep it that way. What’s their secret? The city’s aptly named Independent sheds some light in their cover story, Cool town. Lafayette is becoming a magnet for the creative class. Here’s why. Economically, they’re successfully transitioning from the industrial age (oil) to the knowledge age (health care, tourism). Education wise, their acclaimed University of Louisiana hosts 16,000 students with an emphasis on the emerging fields of health, design and tech. As far as infrastructure, the city’s utility (LUS) will complete a citywide fiber network providing among the highest broadband speeds in the nation. Keep in mind that two of the top 10 search queries are music related. Also, music scenes are a sign of economic rise. Scroll down the cover story to peruse an impressive list of over 340 things that make Lafayette so cool. 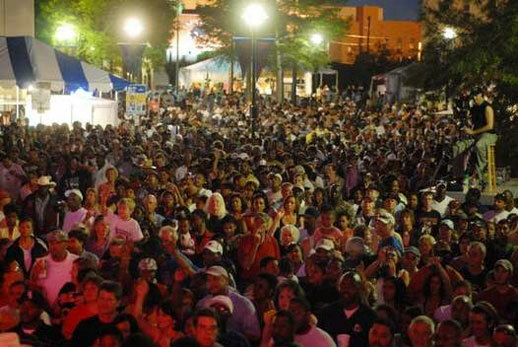 Photo: Lafayette’s spectacular Festival International. Thanks to Zach Kupperman, founder of Policy Pitch for the reference!